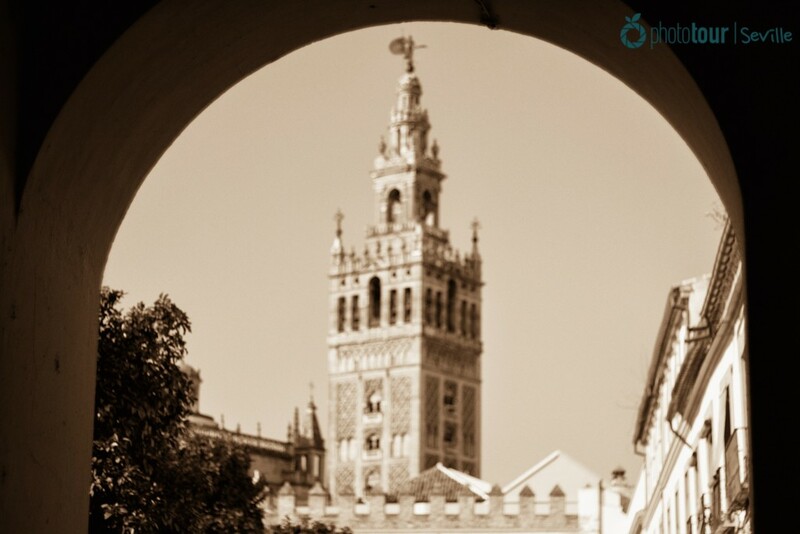 So you are thinking about visiting Seville accompanied by your camera? Good choice! 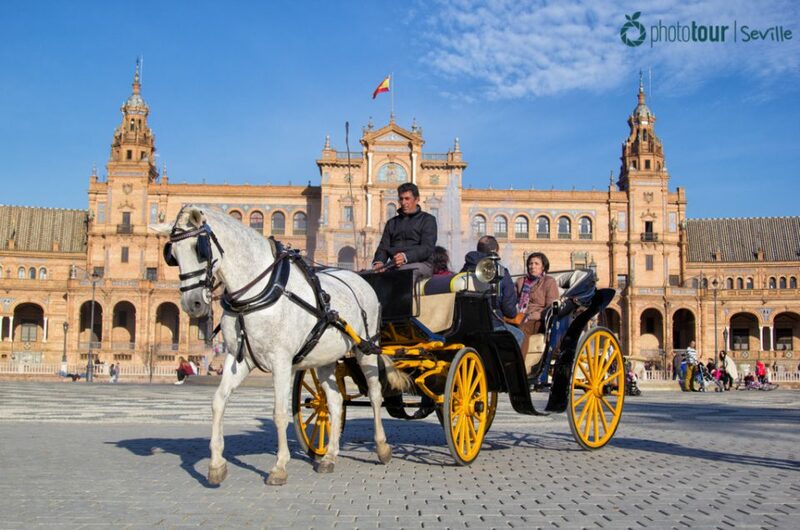 Seville is one of the most photogenic cities that you will find in Spain. The numerous invasions that witnessed the capital of Andalusia left an interesting legacy in the form of buildings and churches with an unique architecture that worth a visit. The downtown of Seville offers innumerable hidden corridors and corners that will give you amazing photos for your album. Once you visit Seville you will rapidly understand why this city is the top destinations in Spain for the photography lovers. Loads of photographers join our photography workshops in order to take the most out of their cameras and discover the hidden spots of the city from the local´s eyes. 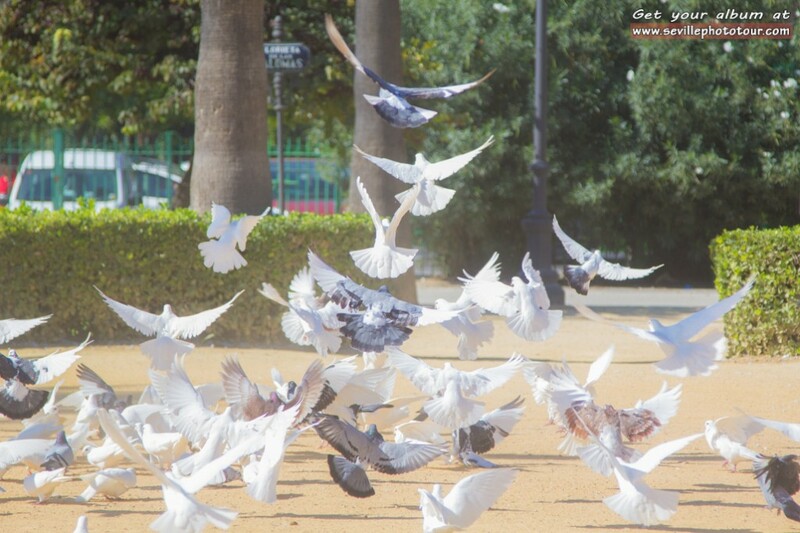 PRACTICE SHUTTER SPEED WITH ANIMALS AT MARIA LUISA PARK! COMPOSE YOUR PHOTOS AT PLAZA ESPAÑA WITH ITS UNIQUE ARCHITECTURE! The second stop of our photography workshops is at iconic Plaza de España. This monumental plaza was built in 1929 because of the iberoamerican exposition and is formed by towers and numerous columns which offer an unique architecture ideal for those professional photographers who want to improve their composition.Here you could practice the rule of thirds, the depth of field and play with lines and symmetry. 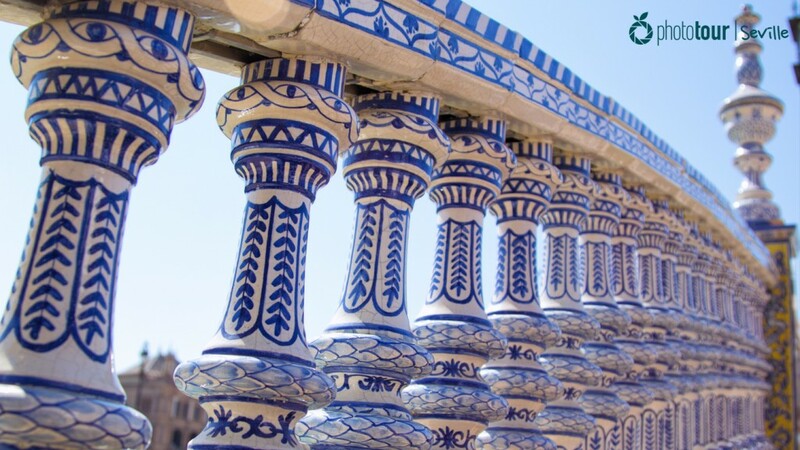 At this point we will give you plenty of photography tips in order to practice with the composition and complete your photo album of Seville. Without a doubt one of the most photogenic spots of Seville for photography lovers. Another mandatory stop in our Photography Workshop is the historical Jewish neighborhood, known as Barrio Santa Cruz. This spot is full of history as the jewish were living here for many years before the muslims kicked them out. You can see, and feel, the essence of the neighborhood at its corridors and beautiful little squares adorned with fountains. Barrio Santa Cruz offers also unique views of La Giralda (the Cathedral´s tower), the icon of Seville. The best spots in order to capture it are at the entrance of the neighborhood, at Patio de las banderas, and below the arch of Palacio Alcazar. You could enjoy of an unforgettable view while you take photos of the symbol of the city. 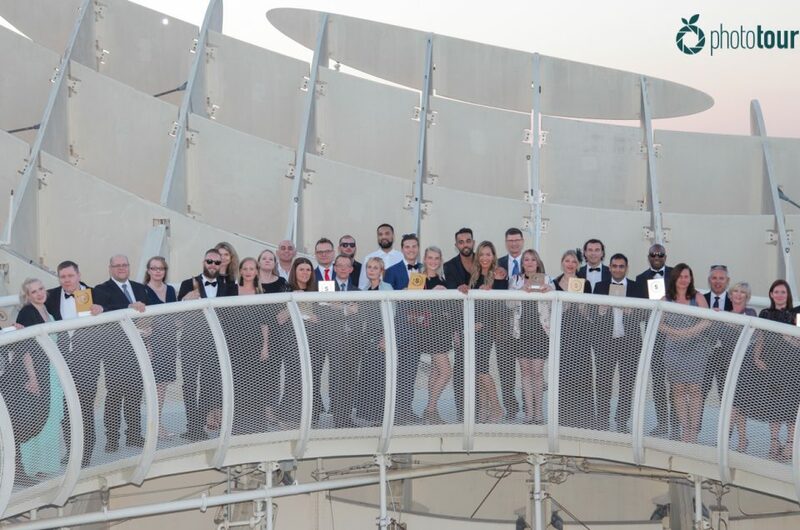 CATCH THE PERFECT SUNSET AT TRIANA NEIGHBORHOOD! If you are a photographer interested in capturing sunsets we will offer you, as optional, the possibility to go to the most picturesque neighborhood of Seville, Barrio de Triana. This colorful neighborhood is full of life and offers a great occasion to practice street photography, but not only that, due to the sun always goes down at that part of the city you could have the chance to capture great sunsets from there. 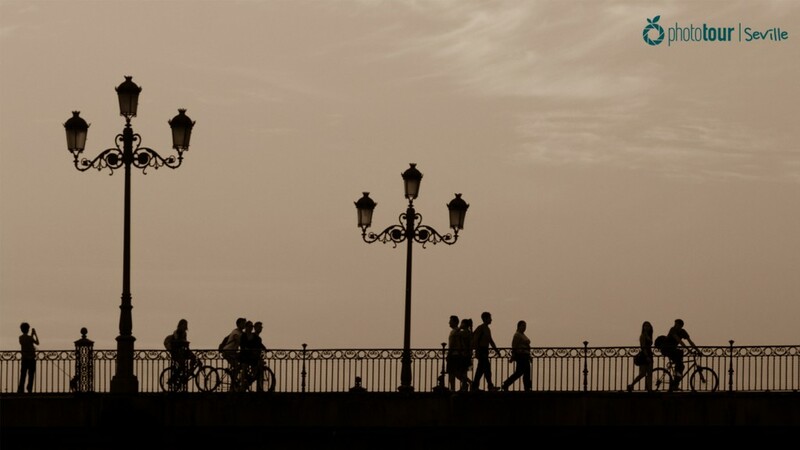 At the shore of the Guadalquivir, the river that divides Seville in two, you could take a beautiful photo of the sunset with the legendary Triana´s Bridge near to you. This is the perfect ending for a photography workshop, don´t you think? For those who love the nocturne photography we offer Photography Workshops at night as well. 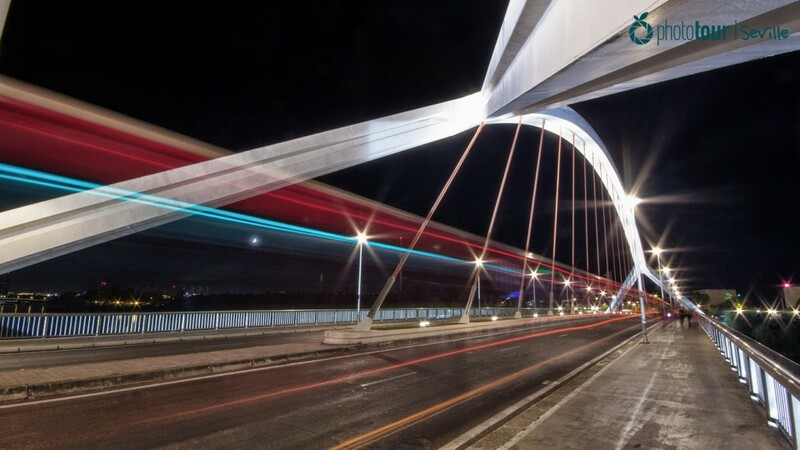 Seville is a well illuminated city at night and that offers great photographs where you can play with the light. One of the main activities that we offer is to capture the light using a slow shutter speed, also known as “light painting”. This way of taking photographs is always interesting for those who are looking for creative photos. Have you already decided when you will join our Photography Workshops? Whether you are an amateur or professional photographer we have the perfect workshop for you!, just let us know your level and we will adapt the workshop to you. You could choose the itineraries where you want to practice with your camera. Join our Photography Workshops and get the most out of your camera!